With such a successful start to life as a brewery, it’s hard to believe that Modus Operandi has only just turned two years old. But it is true, and has been marked with a birthday beer. 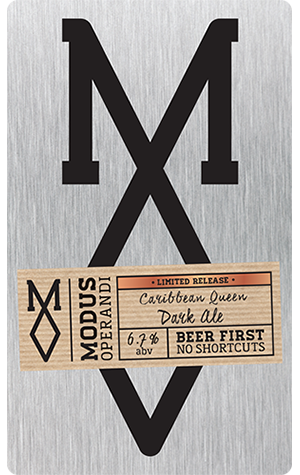 A homage to Billy Ocean that sounds more like the name of a cruise ship, Modus’ birthday beer is a brown ale called Caribbean Queen. It’s something with roots in the equatorial islands, having had loads of coconut and milk chocolate added, and it’s the latter which has really come to the fore to create a beer that’s lusciously smooth and satisfyingly rich. At 6.7 percent ABV it’s a surprisingly robust wee number, but it hides it all well under a sweet brown veil (thanks in no small part to the lactose added during the brew). In the absence of a slice of birthday cake, a pint of Caribbean Queen will do just nicely.